In collaboration with Manning Gottlieb OMD, our innovation team were tasked to think up a creative way to engage Pharrell Williams fans and promote his album ‘GIRL’. 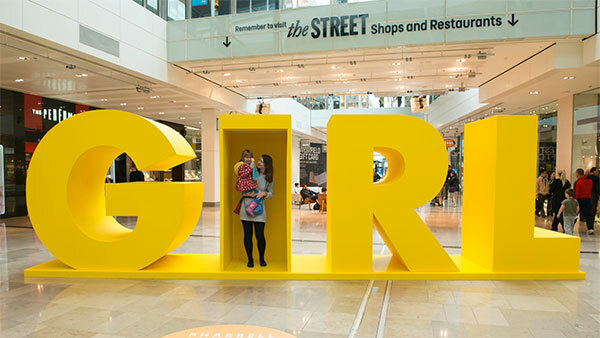 We created a custom interactive installation at Westfield Stratford, allowing fans who entered the letter ‘I’ in GIRL to listen to Pharrell’s ‘Marilyn Monroe’ song, facilitated by motion controlled sound technology. Fans were also able to connect to GIRL Wi-Fi to watch the music video and download the album. Over 100,000 members of the public engaged with it at Westfield over 48 hours. The experiential activity generated so much attention that Pharrell himself retweeted the video on his personal account to over 8 million followers.